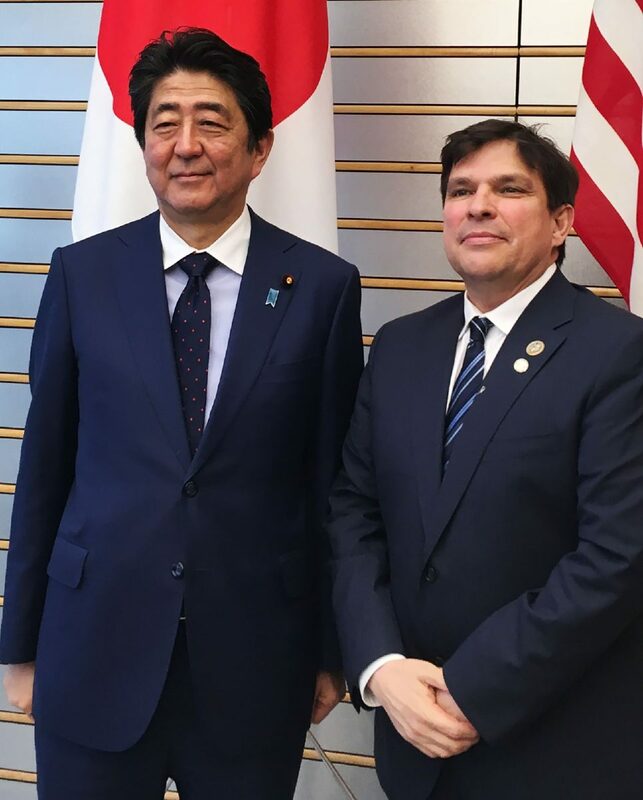 U.S. Rep. Vicente Gonzalez, right, met with Japanese Prime Minister H.E. Shinzo Abe during a trip last week to Japan. U.S. Rep. Vicente Gonzalez met with Japan’s prime minister and other key government officials during a trip to strengthen bilateral relations between the United States and Japan last week. Gonzalez was one of seven members of Congress invited as part of the delegation. The group met with Japanese Prime Minister H.E. Shinzo Abe and Japanese first lady Akie Abe, along with the Japanese Minister of Foreign Affairs Taro Kono and Bill Hagerty, the U.S. Ambassador to Japan. “The congressman hopes his visit will result in more interaction with local businesses, agriculture and trade groups in the 15th District,” his office said in a news release. Gonzalez invited Japanese officials and business leaders to South Texas and discussed the importance of U.S.-Japanese national security cooperation, such as areas where the two nations can join forces to combat, counter and protect against the threat of North Korean aggression.